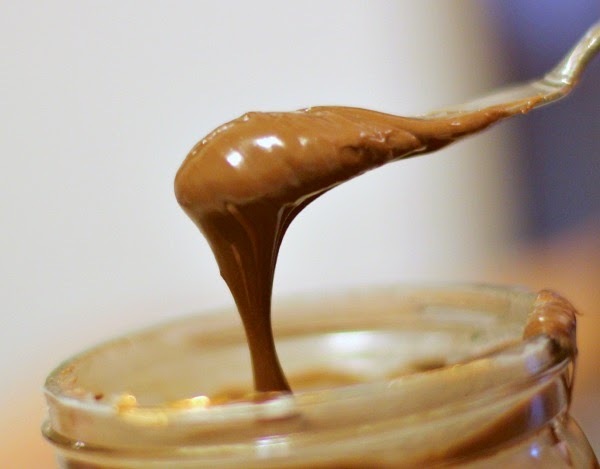 One of my earliest memories of Nutella was watching a friend pile on a huge scoop of the chocolatey spread on a slice of bread. 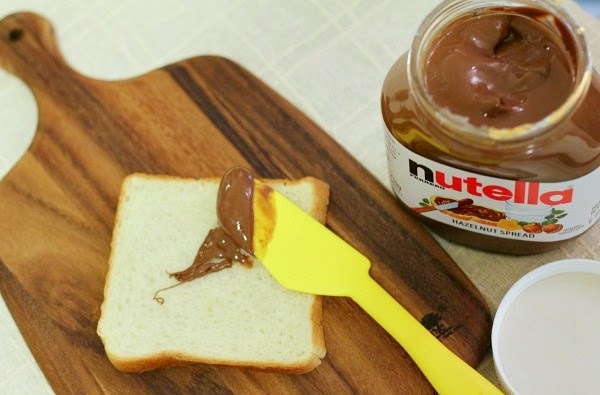 The resulting Nutella sandwich had a layer of creamy spread almost as thick as the bread itself! This friend, as far as I know, still likes his Nutella goodness lathered on bread in generous proportions. I do like to vary my children's breakfasts, and Nutella has provided a convenient option. It does not need to be refrigerated, taking up no fridge space, and provides that touch of sweetness to brush away the sometimes-morning-blues. 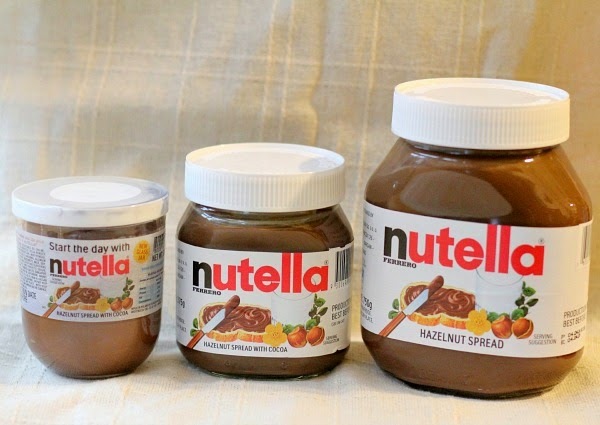 Would you like to win for yourself TWO 200g jars of Nutella? If so, leave a comment on this Facebook post, answering the two questions posted there and leaving your email address. This giveaway will end on Wed 8 Oct 12 noon, and 3 winners will be selected soon after. 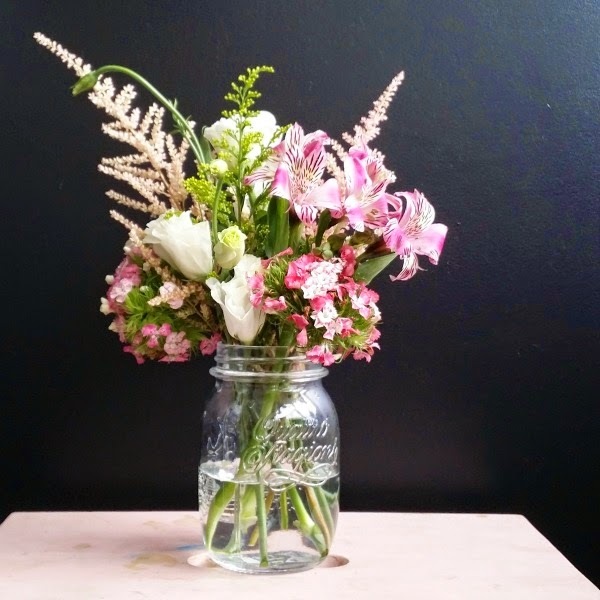 Winners will have to collect the jars from the Rise & Shine office. All the best and have a good one for your next breakfast! My beloved firstborn just turned five recently. FIVE. Can you imagine that? 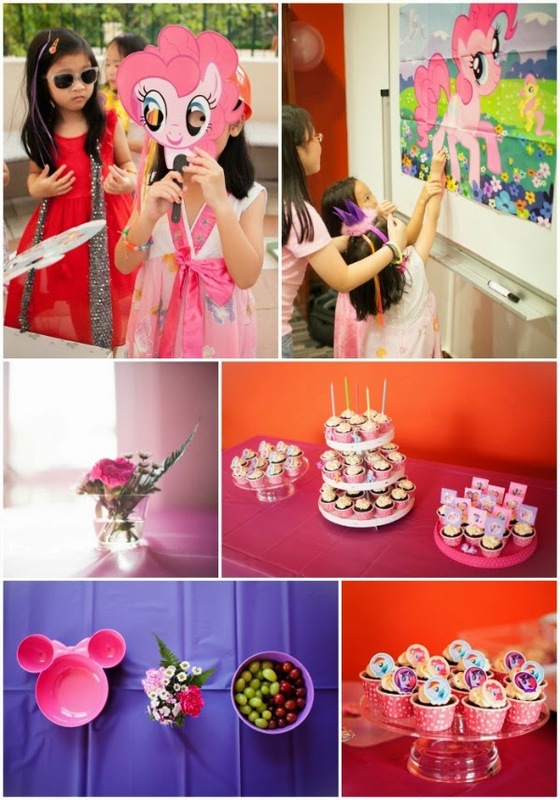 I organised a "My Little Pony" birthday party for her, and through all the doing - listing, planning, buying, sorting, baking, decorating - I found myself on several occasions wondering how on earth all those years passed by so quickly. This year, my little grown-up girl started thinking about her party from the start of the year. 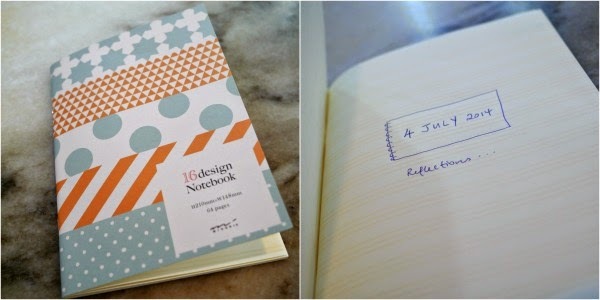 She decided on the theme, and gave me a handwritten list of names of schoolmates whom she wanted to invite. 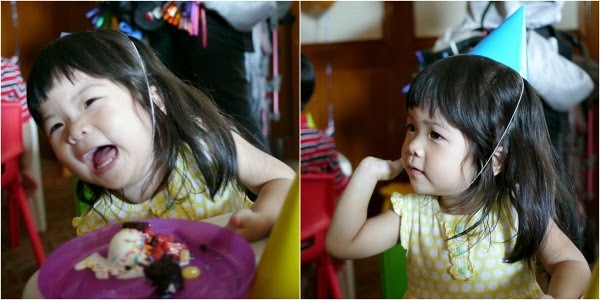 It was a lovely, lovely time watching her quietly (and sometimes shyly) enjoying the time with her friends and family. 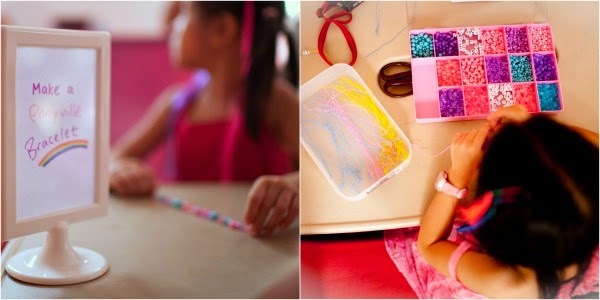 We set-up a few stations - for hair extensions, making of bracelets, bubbles and Lego. We then played games - pin the tail on the pony, a dress-up relay, and the well-loved pinata. After cake and dinner, I took out some glo-sticks for the children to play with and make bangles - they were a hit as the sun had set and there was a cool breeze blowing. 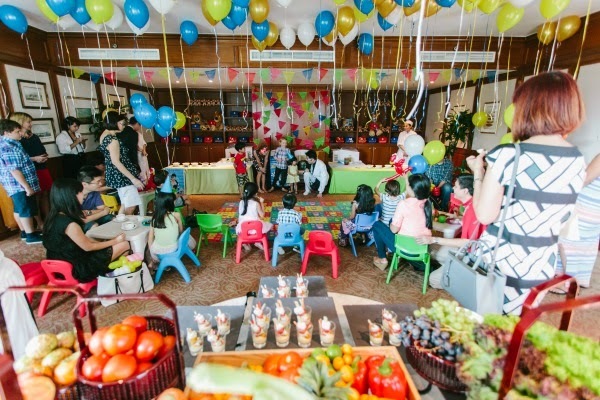 This post's few photos give a glimpse of the party, without compromising our guests' privacy. There are many happy faces in the photos that we received, and they will be will treasured. The photos were taken by a young man from my church - a budding photographer who has taken photos for several weddings of mutual friends. He Facebook page is here, and Tumblr here, if you are interested to see more of his work. Happy birthday my Bubbles. We love you. 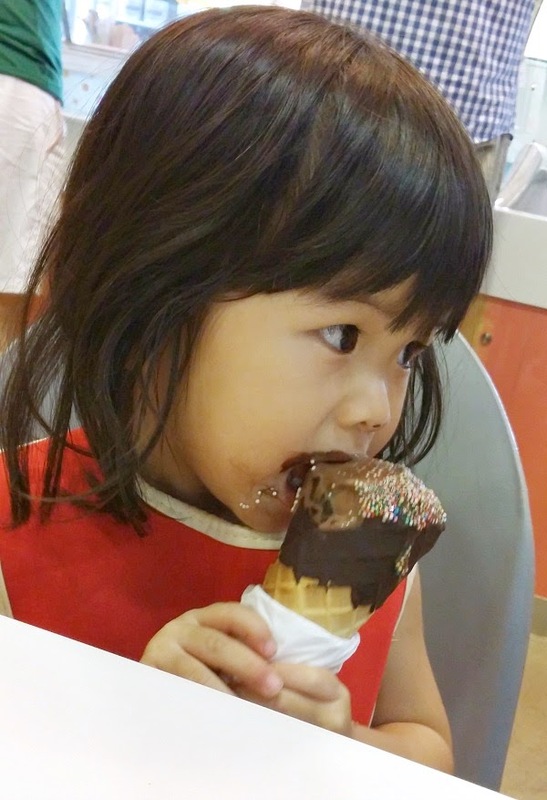 Just look at this little one, enjoying her "kid-sized" ice-cream cone, oblivious to the attention she was getting from other customers around, amused by the intensity of her enjoyment, and dark brown ice-cream smeared all over her mouth and later, nose. Both my girls inherited their great love of ice-cream from their father. He is most happy to take them for ice-cream treats, not only because he gets to have a treat for himself, but also because he absolutely delights in watching them enjoy the dessert. For myself, the one with the non-sweet-tooth, I love watching my girls eat ice-cream more than eating it! Bun has started playschool for a couple of weeks, and as expected, she caught the sickies a few times - the usual fevers, runny noses and coughs. Ice-cream was sometimes used as a source of comfort during those periods! With two children, it is also really handy to have B-Sanitized to chase off the bugs that linger around the house. Young children are known to be least hygienic, and in our home, it is not uncommon to have mucus smeared onto various surfaces (yuck but yes). You might recall that I wrote about B-Sanitized in an earlier post. Here are photos of the nozzle, that sprays a fine mist with a rather pleasant scent (even for the sensitive nose I have). The spray shoots upwards, from the hole on the top, rather than from the side, so it really feels like you are shooting off the bad guys when you use this! Haha! So where could you use this spray on? We target taps, door handles and the potty. I also try to use it on the handles of the ride-y toys that go down to the playground with us - the tricycle, bicycle, and the skate scooters. We use the spray on the items after a quick wipe-down, and leave it on to dry. It is therefore not difficult to maintain such a routine. 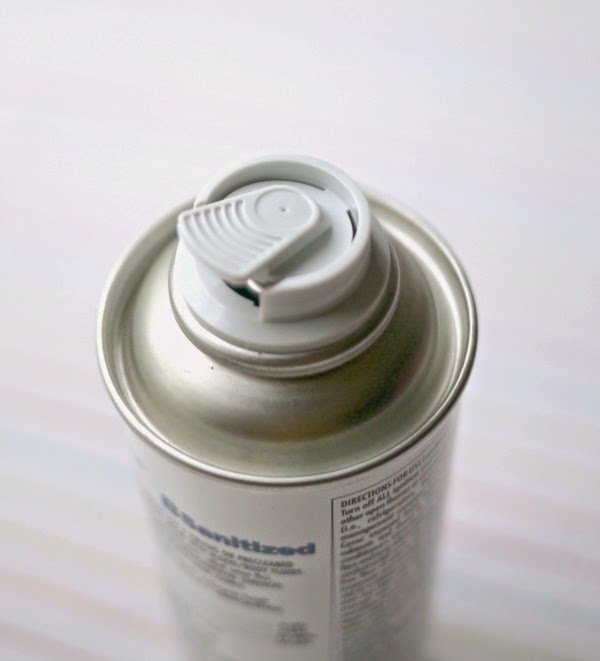 If you need to use something quickly however, it is best to let the spray stay on for at least a minute or so, and if the item is still damp, you can gently using a piece of cloth to dab on it. The special promotion is on again for A Dollop of Me's readers! 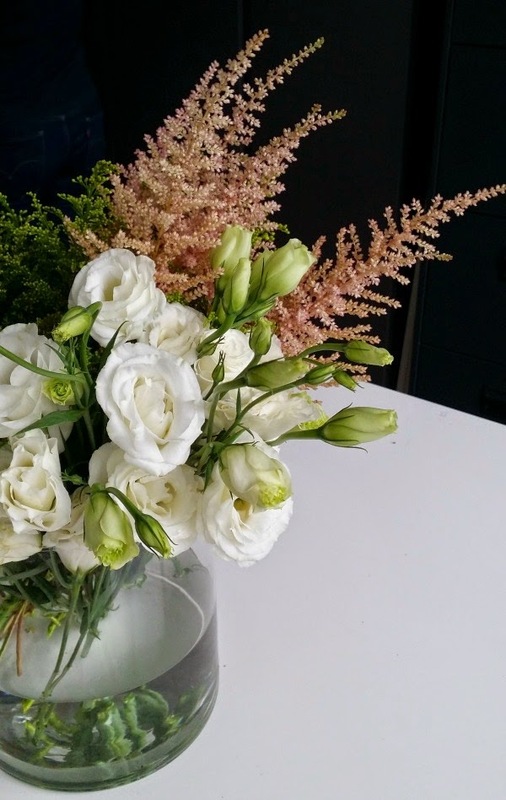 Use promotional code "corsage" to purchase 2 cans of B-Sanitized for only $72 (U.P. $79.80). This offer is valid till 30 September 2014, so go shop now in preparation for the start of school again next week! 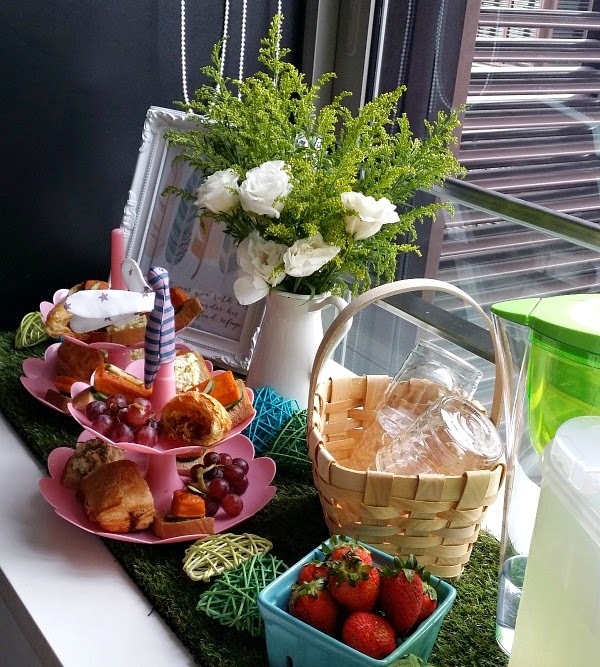 Thank you, Our Lifestyle Shop! September is upon us. How has everyone been? I have been trying hard not to reply with the word "busy" whenever I am asked a question about how I am. 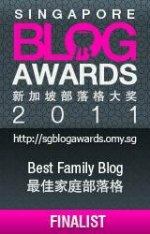 Yes, there has been a lot to do - preparing for and attending the Singapore Blog Awards (that was awesome, you should read the post about it if you haven't already! 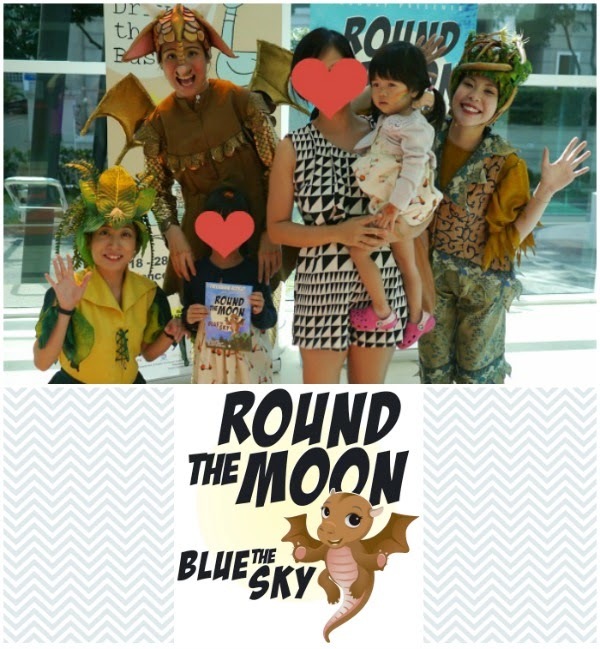 ), meetings with potential work bosses, exploring pre-schools with daycare facilities, preparing for Bubbles' birthday party, taking mum out on her birthday, and learning to solo parent more often, now that Roboman is onto a new job with more frequent travel. Recently, I absent-mindedly parked by car at the side of the carpark at our apartment, waiting for someone. I did not realise that my car was at an angle that made it challenging for another car to park. Before I knew what was happening, a neighbour, a man, rapped at my window and told me off. I was shaken and felt terrible, and the word "preoccupied" somehow popped into my head as an explanation. My mind certainly has been preoccupied. There is a lot I am thinking about, pondering, asking, figuring out. There are a few more months to go before I head back into the workforce, and there is a lot to sort out within this time. It is an emotional time for me, but unfortunately also a very private type of emotion that I am unable to fully express, and when I try, my descriptions always fall flat compared to the depth of emotions I feel. It is Teacher's Day celebrations this week and we have taken time to paint water colour bouquets for my girls' teachers. My girls were so delighted to distribute the gifts, and it was really heartwarming to watch them receive hugs from their teachers. To all teachers reading this, Happy Teacher's Day! You make a difference. The one-week September holidays are happening next week. Are any of you going for a holiday? 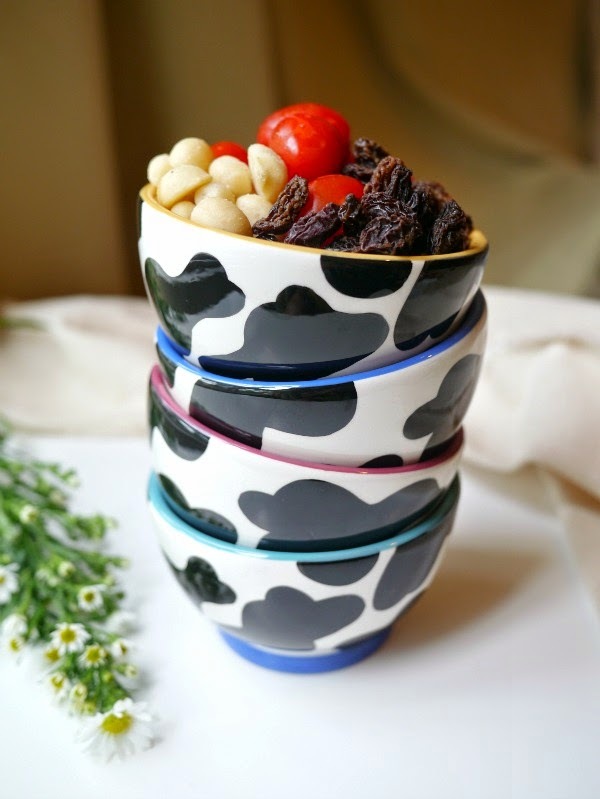 I recently wrote a post on Travel-Friendly Food for Children on petite travellers. For the first time, I deliberately planned a styled shoot for the post. If you can, I would be thrilled if you could pop by to have a look, and I hope you find the tips useful too! Till the next post, see you on Instagram! 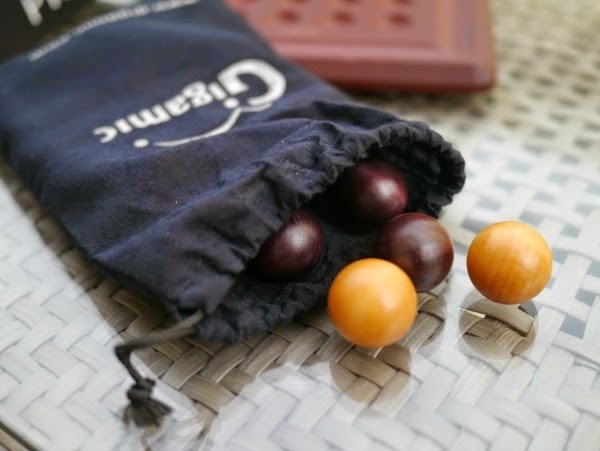 Sometime ago, I shared about KONK, a great product from Our Lifestyle Shop. 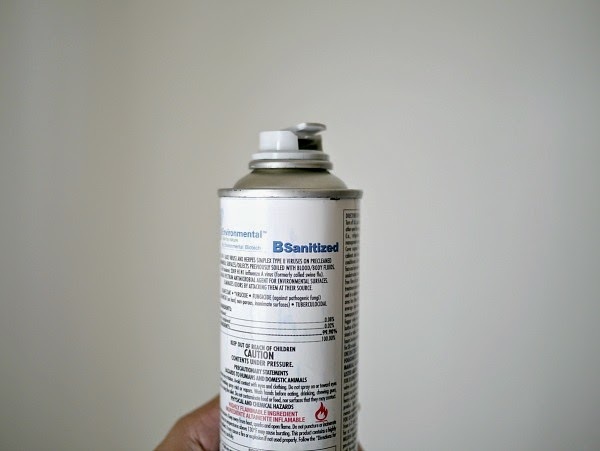 Recently, we have been introduced to another product from this same shop, the B-Sanitized Disinfectant Spray. Families with young children or aged relatives, who want to keep the home as germ-free as possible, especially during bouts of illnesses, may find this a useful product to have. It is not uncommon to hear of family members taking turns to fall sick one after another, creating a seemingly never-ending cycle that is as worrying as it is tiring. B-Sanitized is able to kill viruses, bacteria, moulds and fungi (see here for the EPA Efficacy Kill List), helping to prevent the spread of germs in the home. 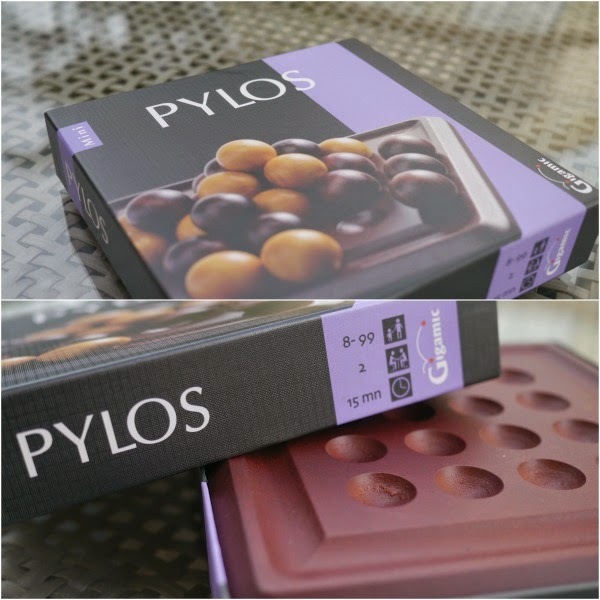 The interesting thing about this product is that it can be used in two different ways for slightly different purposes. Half-depress of trigger - A small amount of B-Sanitized will be sprayed, allowing you to clean small surfaces like phones, keyboards and taps. 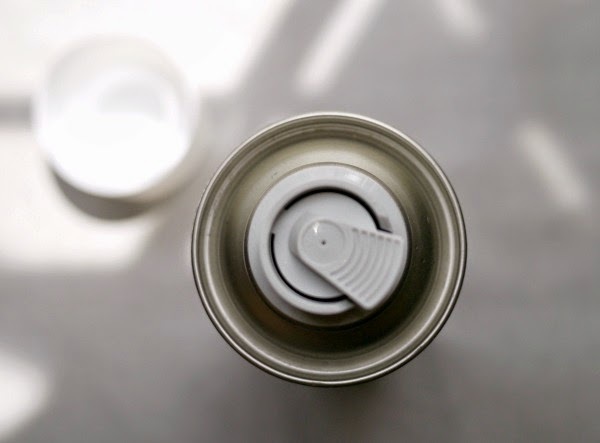 Full-depress of trigger - The lock-down of the trigger allows the canister to fully dispense in a very fine mist, and be utilized to fully fog/fumigate all exposed surfaces in the chosen room. When this is done, the recommendation is to leave the room for up to two hours, to allow all the fine mist droplets to dissipate and fall to the ground where they can no longer be inhaled. B-Sanitized is designed to remove any germs already present, however it also leaves a fine residual antimicrobial coating that can last a few days, providing ongoing protection. I will be sharing in a later post about our experience in using this product with the above two methods. In the meantime, Our Lifestyle Shop is offering my readers a discount on this product! One can of B-Sanitized is priced at $39.90. For A Dollop of Me's readers, use promotion code: corsage to purchase 2 cans for $72 (savings of $7.80). 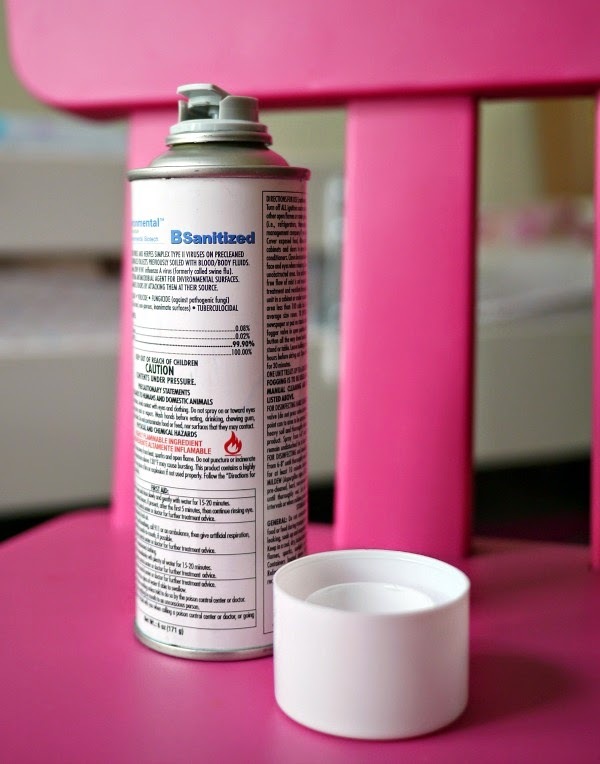 Use one can to clean small surfaces and the other for a room fumigate! This offer is valid till 30 August 2014. 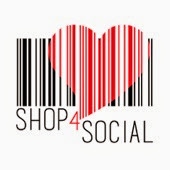 Happy shopping and cleaning! 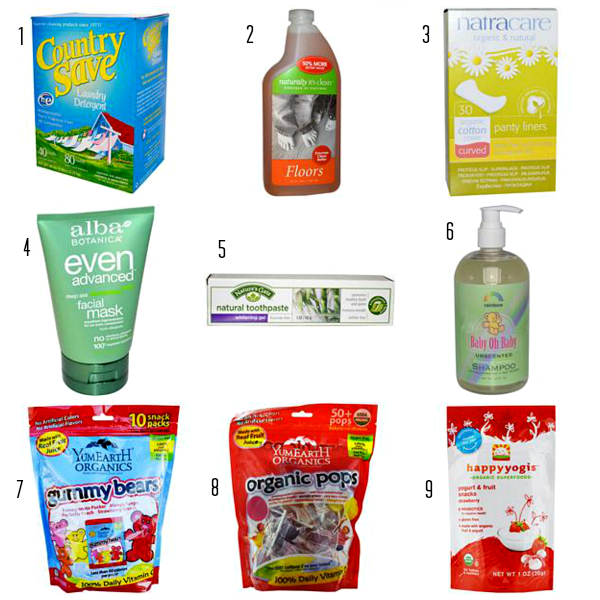 I shared my first iHerb haul in an earlier post, and listed five items that I liked. Now that several more purchases have been made, here are 9 more favourites to share with you. If you are a first-time iHerb buyer, I would like to invite you to use my code FLV421 to get up to US$10 off your first order. 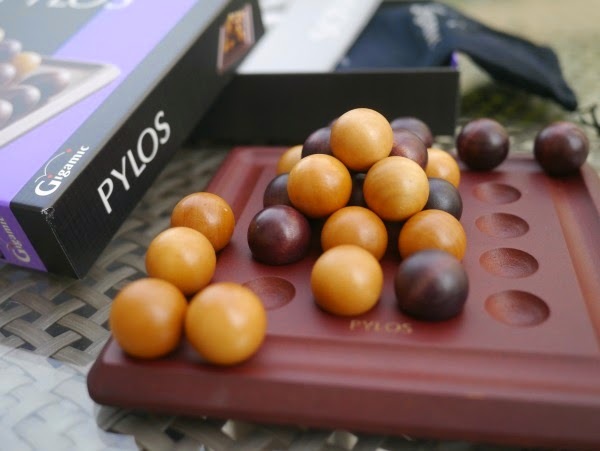 Stick within the price and weight limit and shipping is a very affordable $4. I have saved a lot shopping on this site! This is a recommended detergent for washing cloth diapers! We don't use cloth diapers but we use this detergent for all our laundry. It cleans beautifully - we could tell the difference between this and my former regular detergent. A box like this goes a long way too. We will be sticking to this brand for now! My children play on the floor every single day and I felt that we needed a no-nasties floor cleaner for their sake. This one leaves the floor feeling nice and clean, and with no strong scents. Like the laundry detergent, a little goes a long way for this, so each bottle of this size lasts as long as our former supermarket-brand large bottle. Without TMI, these work well for those of us with more sensitive skins in our nether regions. These are sold in specialty shops here too, but at marked up prices. I have used boxes of these. No complaints! Ok I have to admit that I am a lazy bum when it comes to skin care. Still, I enjoy the feeling of a face mask, and this one feels just like you would expect a deep sea face mask to. It is cool and thick, and you can feel the gunk being sucked out of your skin when the mask dries on your face. I just bought this brand's Sea Algae Enzyme Facial Scrub as well, but I have yet to try it! I believe in using fluoride-free toothpaste because in Singapore we already have fluoride added to our water, and it is not necessary (or healthy, according to some research), to get too much of it into our bodies. This toothpaste leaves a fresh, minty, clean feeling that I like. It thicker than regular toothpaste so it takes a bit more strength to press this out. After trying this, I topped up my personal supply and bought a tube for my parents to use too! I bought this for my children to try and we quite like it. I found the pumping mechanism useful too. My first purchase was the scented version. I actually really liked the scent and I loved to sniff my children's hair after a shampoo. However, my gut feel is that it is usually better to go scent-free, so I bought this instead! But it is a personal preference really! 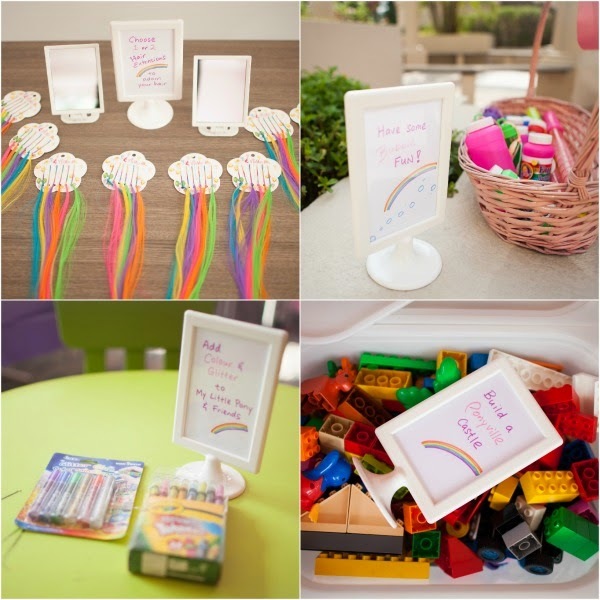 This is fantastic for parties - to be part of goody bags or stuffed in pinatas! Most parents will prefer their children eating these than many other nasty candies out there. I will also consider popping these into snack/lunch boxes as a special treat! Another great find for parties (and the reason why I bought them!) I also keep some in my kitchen to serve as rewards, or to be whipped out when my kids are ill and need some cheering up. The price is unbeatable. Bun has taken a fond liking to these organic yoghurt snacks and I have purchased them in all sorts of flavours. If your children like these, the prices here are better than most shops in Singapore. That's it! Another 9 great buys that have served us well. Let me know if you like these recommendations! 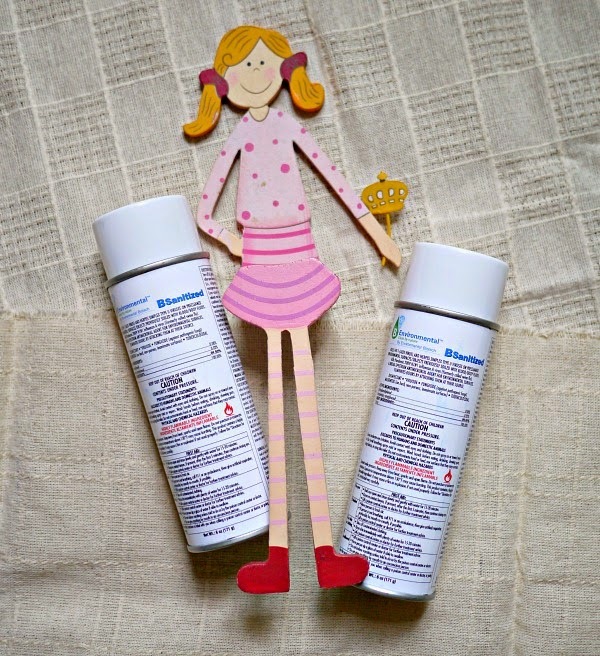 Psst..my friend L has also listed some of her fave iHerb buys here. That skin cleanser looks like a must-try! I wrote about visiting the Mint Museum of Toys on my day out, and thought to share some photos of what I saw in the museum. The short visit was enjoyable, and the whole notion of being on my own felt magnified when I realised that I was the only visitor during the time I was there. (It was slightly spooky initially, to be in darkened rooms with dolls staring down!) However, the delightful experience of being able to take my time to read the write-ups and look closely at the exhibits probably did present to me a rose-tinted view of the place, as any place would, given the situation. Still, for the sake of a light-hearted walk down memory lane, this museum is worth a 30-40 minute visit. I would not recommend it for young children though, as the toys and memorabilia are all encased in glass units - there is nothing to touch or to interact with. The glass casings (that were slightly grimy in some places), and the lighting made photography quite a challenge, and I therefore snapped photos with the intention of showing them to my children, without the additional effort to get perfect shots. 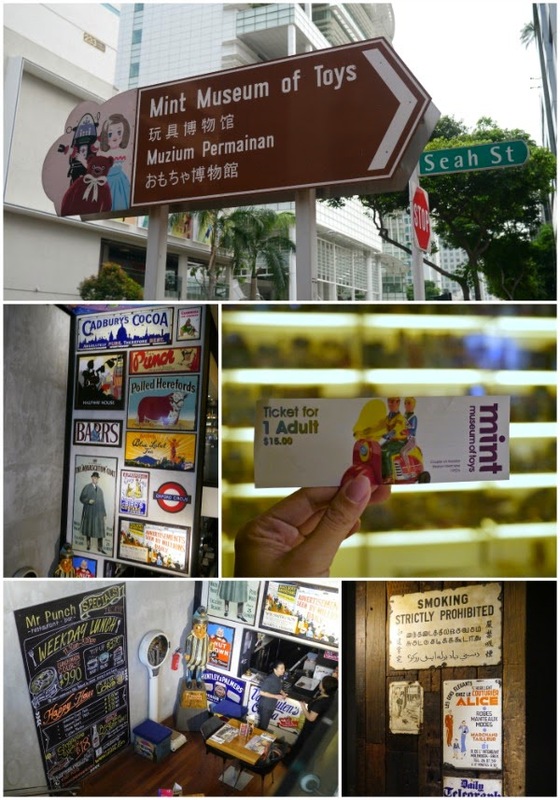 Here are some of the exhibits that caught my eye, see if they jog memories for you too! There was one special day last week that I spent mostly alone. It was a day carved out for me to enjoy some solitude and to do some quiet reflections. As someone whose days and weeks go by in such a flurry of activity, that one day was something I really looked forward to, and planned for. I put some thought into how I wanted to spend my time. A day can go by in a flash if not planned well. 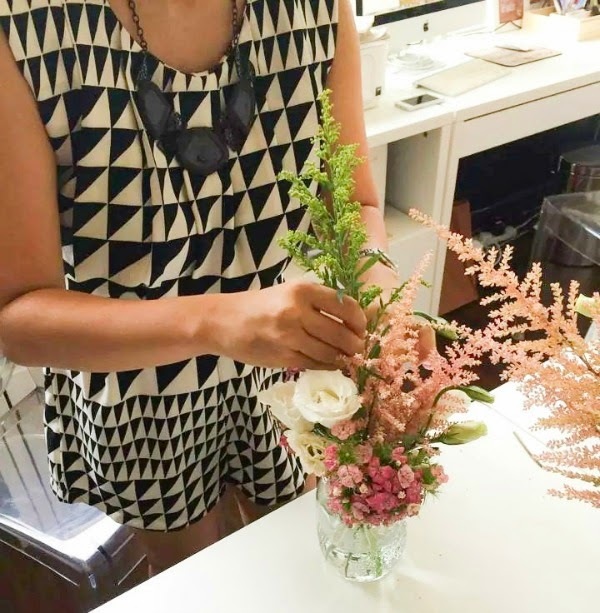 Instead of the usual self-pampering massage or a long-needed hair treatment, I felt drawn to doing something quite different. I wanted to put on my explorer hat and to bring with me a sense of wonder as I did some wandering. Exploring the city on foot seemed so appealing, perhaps because I am less likely able to do properly with my children in tow. I downloaded a number of these heritage trails to consider, and hope to do more exploring in the near future! 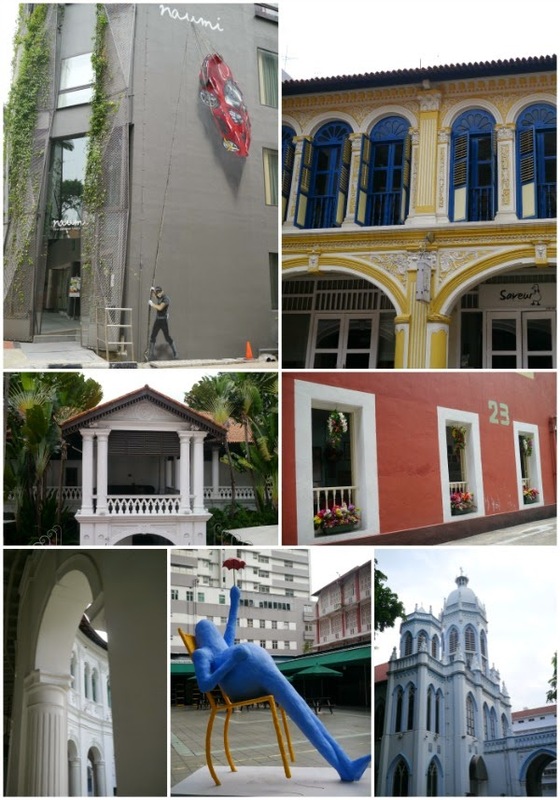 In the end, I decided to spend my time around the Bras Basah area of Singapore, within the Civil District, just to enjoy the architecture in the area and poke my nose into little shops. 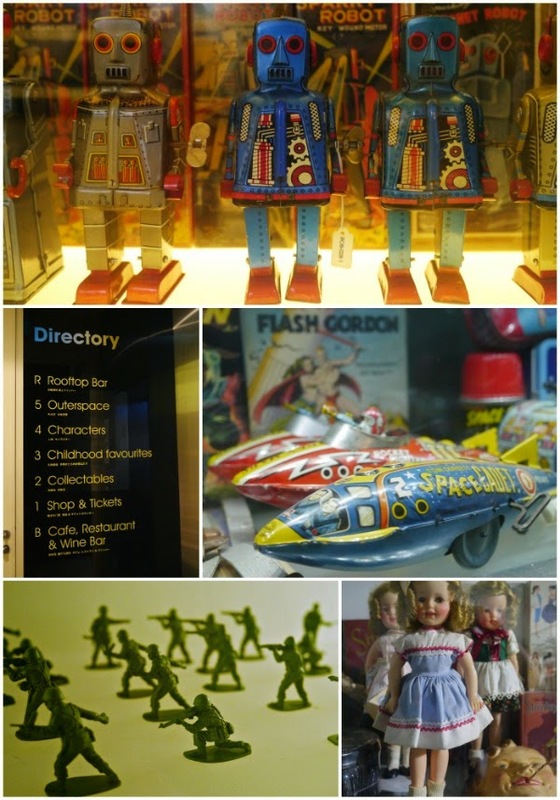 I also made time to visit the Mint Museum of Toys, a place I have been meaning to see. The plan was to first get some exercise by walking, followed by sitting somewhere for breakfast and to journal, and then to take a walk down memory lane by visiting the museum. 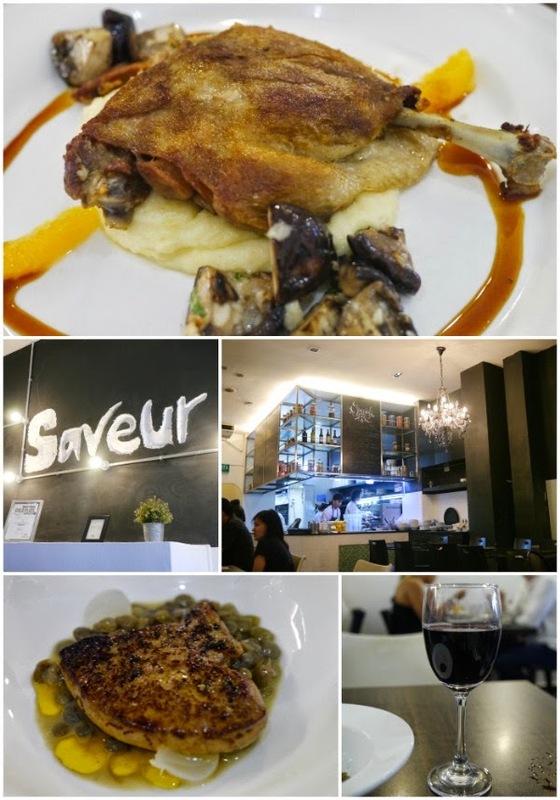 I later had a long, slow, and I daresay very enjoyable lunch at Saveur all by myself (I chewed so very slowly and sipped my wine), before making my way into Bras Basah Complex, visiting favourites like Evernew, Basheer Graphic Books and Cat Socrates, among other shops. Throughout the day, I had turned off social media notifications and for the most part ignored the phone. It felt a little awkward at first but then there was also sense of liberation to be in the present totally uninterrupted, to think and to take in all that was around me. I felt like I was seeing clearer, breathing better, and was just really aware of my being and my surroundings. 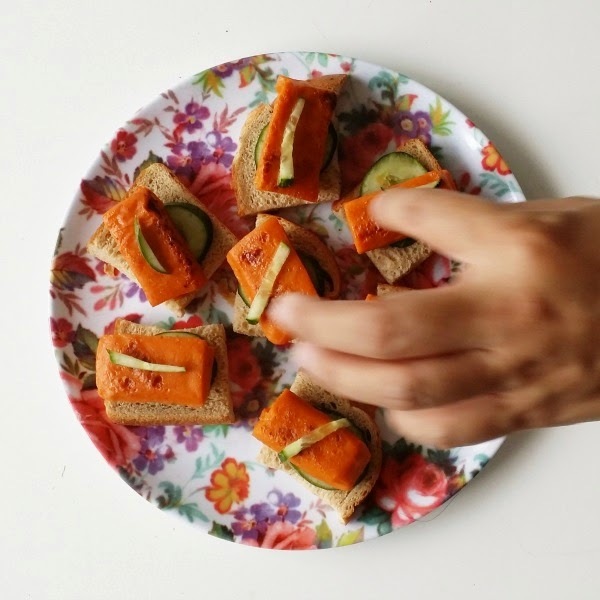 It took me a while to get used to eating without looking at my phone (a bad habit I have when I eat alone), but because I had all the time for my meal, I soon got the hang of it, and even enjoyed the experience. I ended the day with a some thoughts and a super long to-do list scribbled in my notebook. Many on the list are boring, unexciting things, but looking at them as a whole, and knowing the thought-processes and plans behind each one, has been encouraging to me. The heart is more settled, the brains in less of a disarray, and I have emerged more centered and ready to tackle reality, craziness and all. 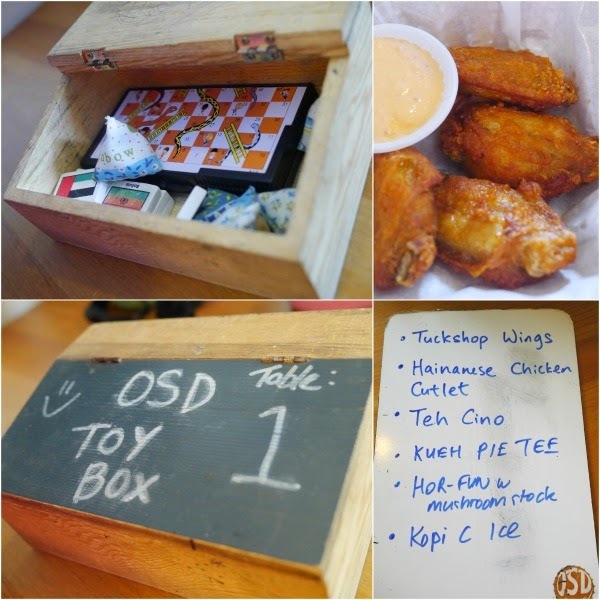 Old School Delights has been on my "must-try" list for a while, and it was with delight that we made our way there recently. 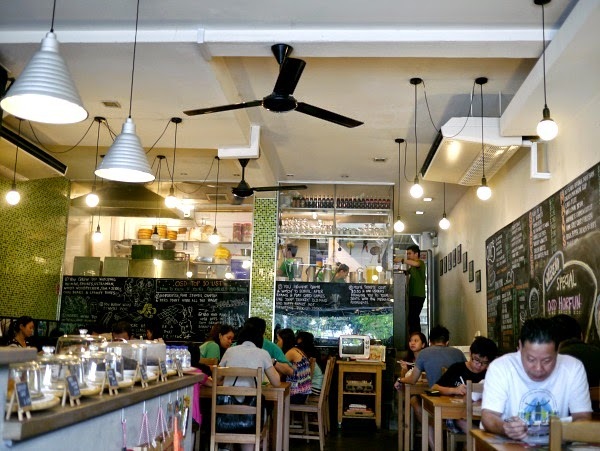 Located along a stretch of shophouses along Upper Thomson Road, it is a little eatery with a menu (and decor) aimed to take one back to the good old childhood days of those of us who grew up in Singapore. 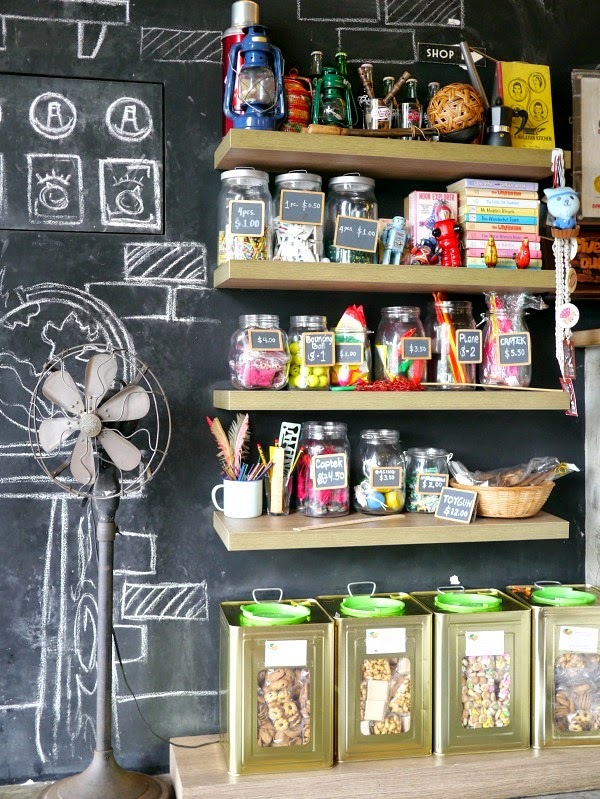 The place is deck out with chalkboard walls and old school toys on each table for patrons to play with. It also sells tidbits and toys from yesteryear that many of us grew up with. We were given a little whiteboard to write our orders on (can you guess which is mine versus Roboman's handwriting? ), which was a bit of a novelty. The food was surprisingly good and true to the flavours we remember and were expecting. I really liked my Hainanese Chicken Rice and thought the portions to be generous. The Tuckshop Wings were good too although more decadent than I remember the chicken wings sold at my schools to be! Roboman was most impressed with the Kueh Pie Tee, one of the best we have had around. The shell was not as thin and melt-in-your-mouth as we get at our aunts' homes during Chinese New Year, but the fillings really hit the mark. My children could not resist the rich chocolate cake, and I have to admit that we did indulge them that day! 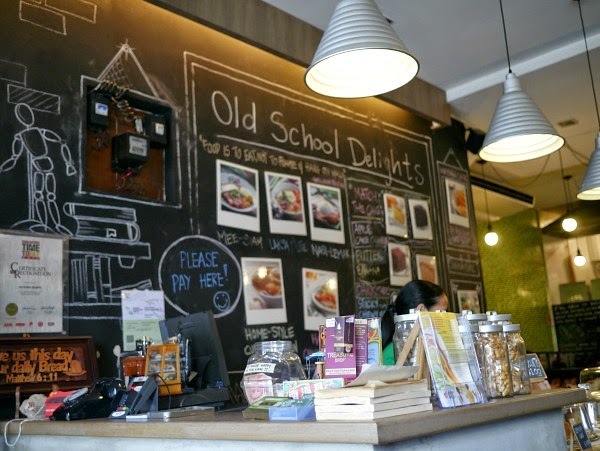 Old School Delights is worth a trek to visit. I must warn you that parking can be quite a pain. It is mainly parallel parking along a narrow road, and at peak hours be prepared to either wait for a spot or park much further away and walk. 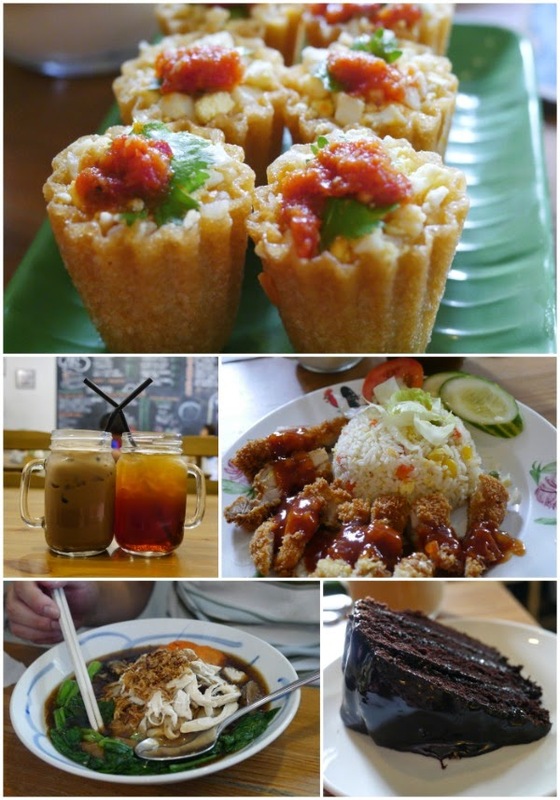 We will go back for the food, especially the Kueh Pie Tee. One evening after dinner, my children decided that it was a perfect time for a picnic. We packed a little picnic basket and a picnic mat, and trooped out to somewhere nearby. 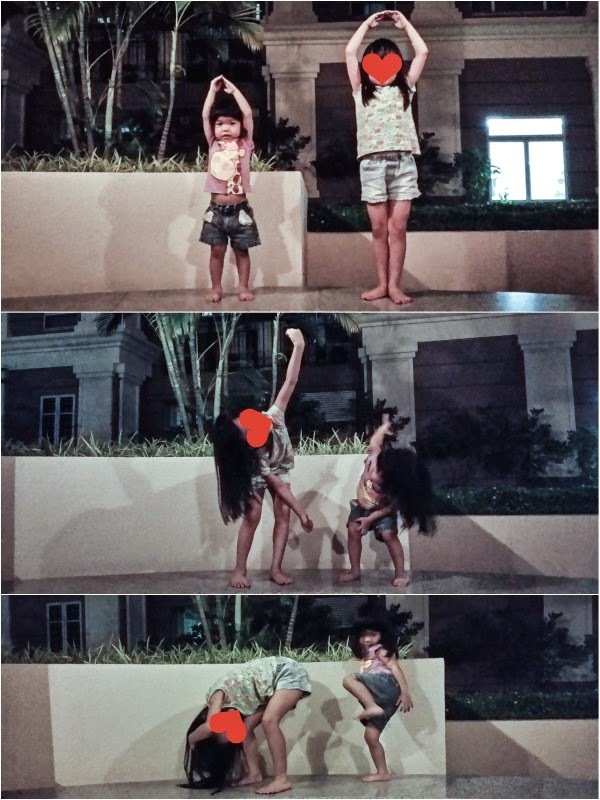 It was late - maybe 8ish - but my girls were in their element of childlike wonder, exclaiming about how beautiful everything was, the stars, the breeze etc. Suddenly Bubbles told Roboman that her sister and her were going to perform for us. Without missing a beat, Bun immediately took her place next to her sister on top of a bench. I took these grainy photos with a hand shaking from all my laughing, and they have cheered me up many times since that magical evening. If you have read my post on Lorna Whiston's Short Course on Reading and Phonics for Adults, this is a follow-up entry with a nice giveaway. 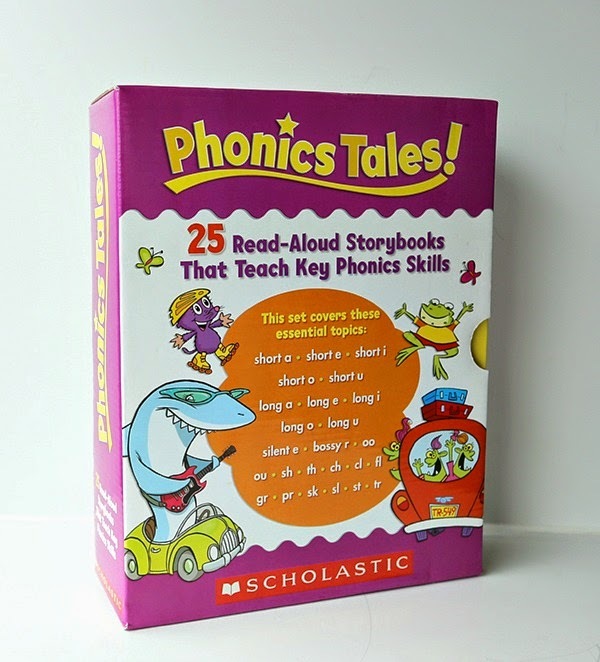 Lorna Whiston is offering a set of Phonics Tales - 25 Read-Aloud Storybooks that Teach Key Phonic Skills to one reader! To enter the draw, will you need to do is to go to this Facebook post and leave a comment: "I want this for......pick me!" This giveaway is available to residents in Singapore, and will end on Wednesday 9 July 10pm. One winner will be picked thereafter. 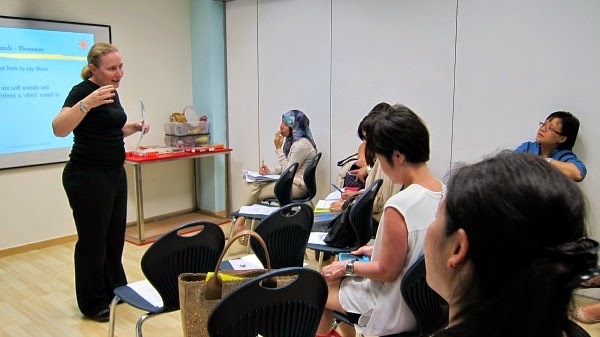 Children in Singapore today are mostly taught to read by learning phonics. I was from the generation where phonics was not taught in school, and when I saw Bubbles having to learn it, I found that I had to learn along with her. 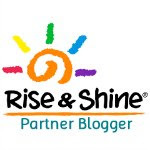 When I was asked by Rise & Shine if I wanted to attend a sponsored short course on reading and phonics by Lorna Whiston, one of their partners, I could not say no. Prior to this, I had no idea that such a course was available! This programme is designed for teachers and parents supporting children aged 3-7 years in reading and phonics. Each class is 2-hours long, held over four evenings, one evening a week. As I have no prior knowledge or formal experience in this subject, I attended Level 1. The cohort I was in had about 13 students. Among us were teachers, parents of young children, a volunteer who helps underprivileged children with their schoolwork, and a grandmother of a pre-schooler. It was a cozy group of interested participants. Our class lecturer was Rose Griffiths, a teacher from Lorna Whiston. 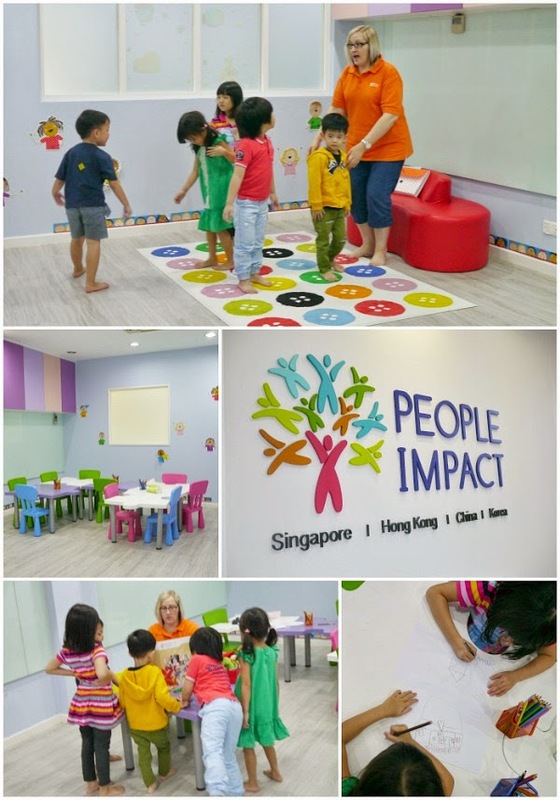 She brings with her years of teaching experience both in Singapore and in the UK. 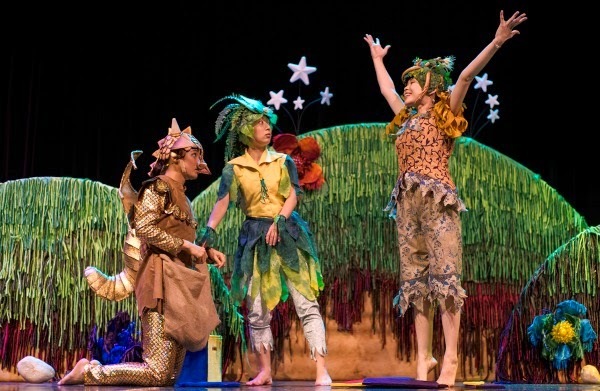 Primarily an early childhood educator, she teaches a number of classes for children at Lorna Whiston. Her experience helped her provide breadth and depth of examples of what works, possible challenges, and common issues early readers face. I found her to be succinct, patient and deliberate in her teaching, making the class worthwhile and interesting. It was clear from Day 1 that the base knowledge of the class was quite varied, and I was curious to see how this would be handled. I found that she was able to create a safe environment for questions to be asked, and kept herself available after each class for quick discussions about specific issues that were beyond the scope of the class. Being a facilitator myself in my day job, I observed that Ms Griffiths included many techniques to engage the group, many of whom were naturally tired after coming by from a day's work. While she is not a high energy lecturer, she was able to give a good pace to the lessons through different group and individual activities, including games, to effectively engage the class and increase participation in discussions. What did I learn in the Level 1 programme? 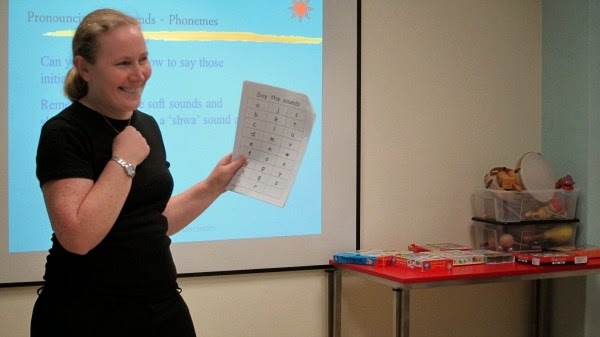 Teaching Phonics - Where to begin? For all of these topics, Ms Griffiths gave many examples of games and activities that we can use to teach our children. The class had the opportunity to play some of these games and try out a few activities. We were taught how to help children to be aware of sounds and shapes/letters that will form the basic foundation of reading. We were also pointed to many useful resources that we can consider using - things like books, learning materials, toys, and websites. I found many of the ideas shared very useful, and wished that I knew some of them earlier, when Bubbles was younger! I really liked that Ms Griffiths emphasized many times that every child is different - each child learns at a different pace and in different ways. She was however also able to empathize with many of the parents in the group, as most knew about the high standards children here are expected to hit once they reach primary school! She did her best to offer helpful suggestions as solutions to problems some of us faced with our children. All in all, I found the course well-worth the time spent, and for the price of S$240 + GST, a reasonable investment. Light refreshments like drinks and biscuits are provided in class but if you think you will get hungry, do try to grab an early dinner! There are many options in United Square. You may want to bring along a cardigan/jacket too as it can get a little chilly. I also carried my own ring file along to serve as a table-top to write on, and a place to keep the handouts. If you are a homeschooling parent, my feel is that this course will be really useful to you. The ideas and tips shared are quite invaluable. As a parent of children who are (and will be) attending a Montessori pre-school, I found some of the ideas familiar as my children's school use similar methods of teaching. It was encouraging for me learn of ways where I could continue similar threads of learning at home. The course also highlighted some mistakes I made in "teaching" my children to read - mainly things I did not even think of doing, and how I emphasized on certain wrong things. As I mentioned above, I really wished I attended this course earlier so that I could have been a better support to Bubbles. Still, I am glad is not too late, and I will be doing some fun activities at home to encourage her to read. If you are interested to sign-up for the next run of the classes (dates above), do contact Jane at 6348 7550. If you would like to find out more about the programme, you can email Ms Rose Griffiths herself at rosemarygriffiths@lornawhiston.com.sg. Lorna Whiston has offered a set of storybooks from Scholastic that teach key phonic skills to one of A Dollop of Me's readers. Look out for the next post on the giveaway! There are few shopping experiences that I enjoy more than pottering around at farmers' markets! 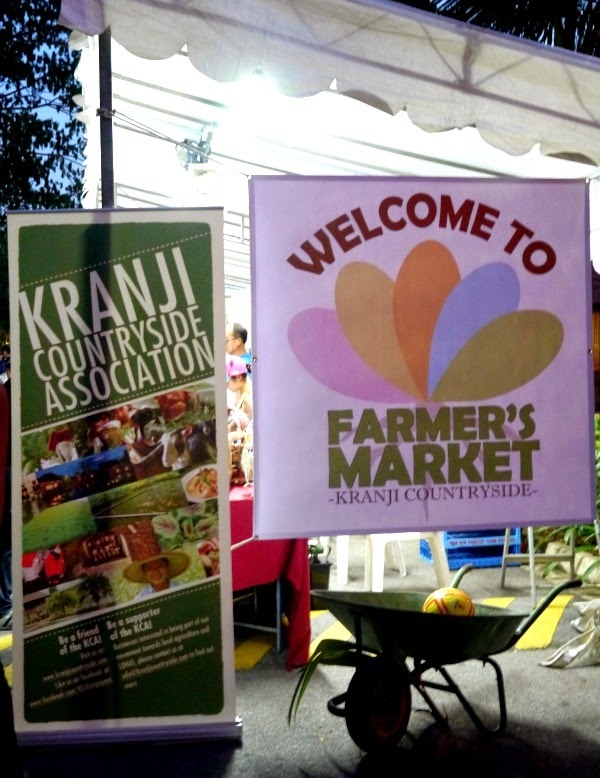 I was thus thrilled when my friend Delphine alerted us about the inaugural Kranji Countryside Farmers' Market organized by the Kranji Countryside Association. Unfortunately, we made it there late (7ish in the evening), and many of the stalls were either closed or closing, with most stalls not prepared for the crowd. A happy problem for an inaugural run, I say! Coincidentally we bumped into Delphine and her family as they were leaving. Do pop by her blog for better day-time photos of the market. Although we were not there for very long, we still managed to buy a few things, and Bubbles even got a chance to do some pottery. The people at the stalls were all really friendly, and it was so pleasant just going around chatting with them and looking at all the interesting produce and goods. I had Bun on my hips for most of the time we were there, so forgive these photos taken with one shaky hand. There was obviously a lot more than I managed to photograph! I particular, I did not photograph any of the fresh produce (as I already have a full fridge at home) but there were many stalls selling those. 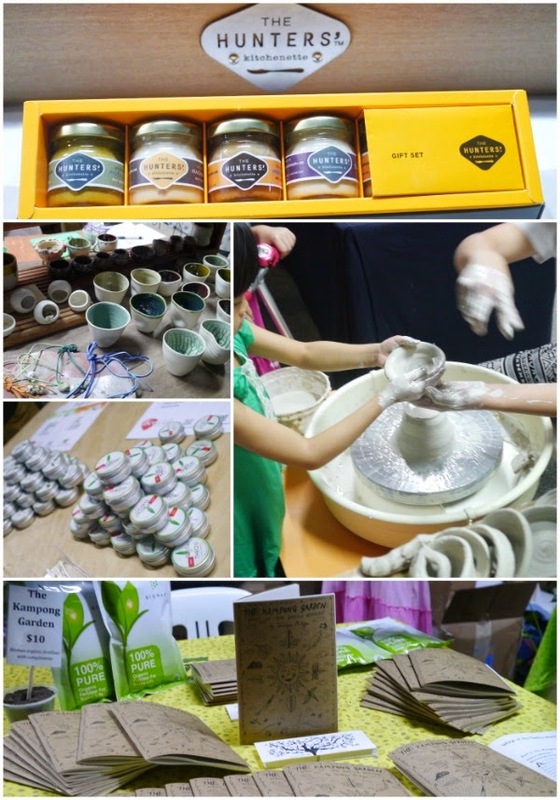 Do go pay the market a visit to see the stalls yourself if you can, there is still Day 2 (Sunday). Well worth a visit! I am looking forward to this market happening more often! 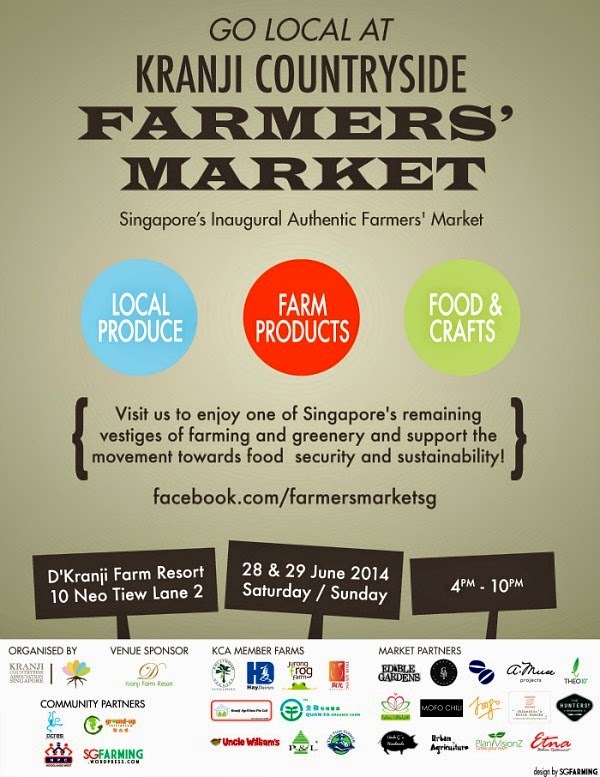 You can view the list of vendors here. 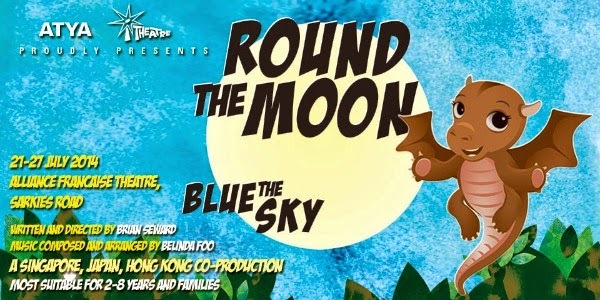 Free shuttles will leave from YEW TEE MRT STATION BUS STOP to D’KRANJI FARM RESORT at 4pm, 4.45pm, 5.30pm, 6.15pm, 7pm and 7.45pm. These shuttles will return from D’KRANJI FARM RESORT to YEW TEE MRT STATION at approximately 4.20pm, 5.05pm, 5.50pm, 6.35pm, 7.20pm and 8.05pm. 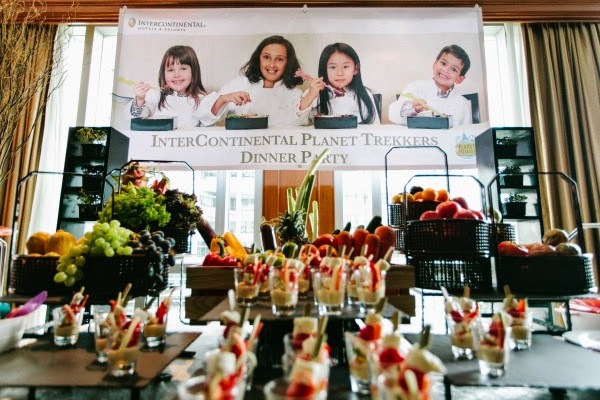 InterContinental Hotels Group is rolling out its new signature InterContinental Planet Trekkers Menu, created exclusively for children, across its InterContinental® Hotels & Resorts properties. Designed exclusively for young InterContinental hotel guests by award winning chef Theo Randall and child food expert and best-selling international author Annabel Karmel MBE, the new menu was developed from start to finish with nutrition and food exploration at its core. 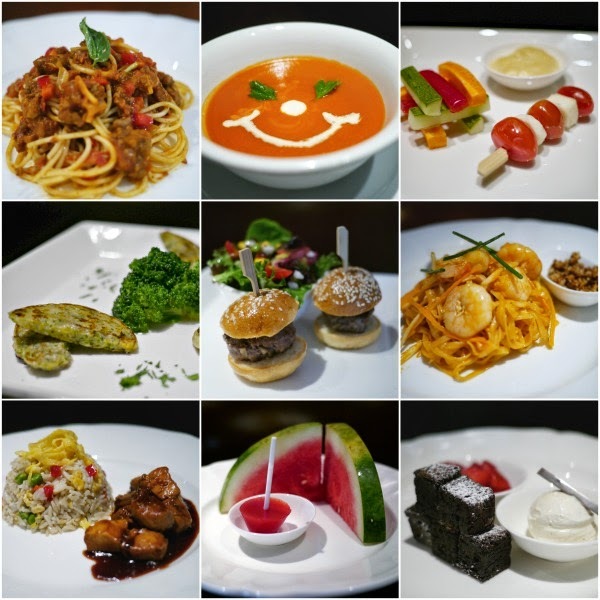 This menu will be available from end-July 2014. 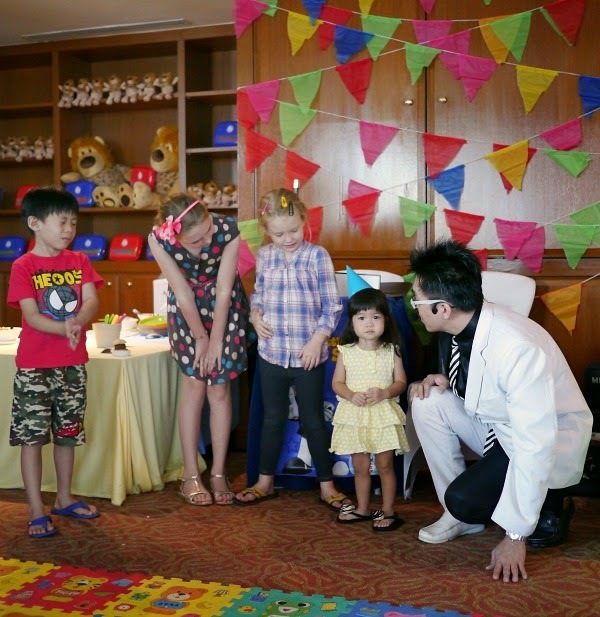 In celebration of the launch, InterContinental Singapore hosted an exclusive dinner party for over 20 children. We were privileged to attend this party, where the foodie feast took guests on a culinary adventure, treating us to a first taste of the new menu. Food explorers were served a selection of appetisers, main courses and desserts, including Smiley Tomato Soup, Broccoli Sweet Corn Fritters, Spaghetti Bolognese with Hide & Seek Vegetables, Wok & Roll Pad Thai, Iced Watermelon Popsicles, Lychee Frogurt and Chocolate Brownie Ice Cream Sundae. Bubbles absolutely loved the tomato soup, and Bun liked the burger patties! 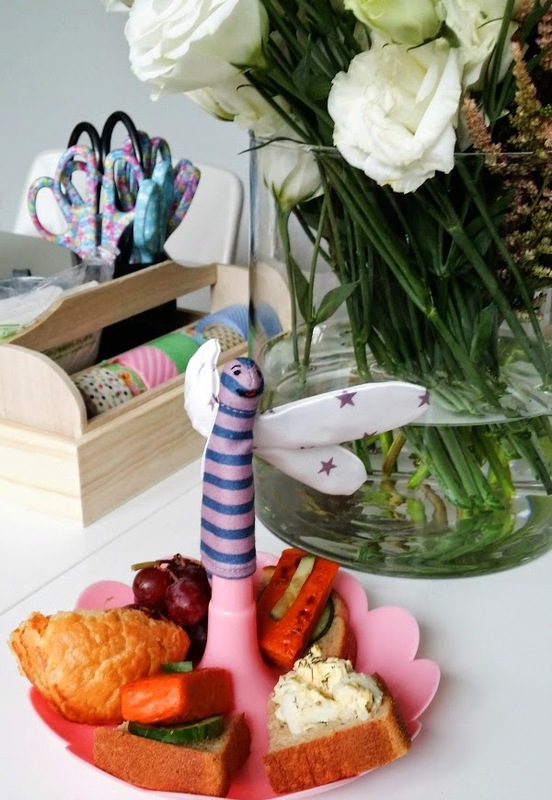 We often use in-room dining when we travel with our children, and knowing the care that went into planning this signature children's menu does impress. You can see that there is a variety of classic favourites and international delights that reflect the breadth of the 60 countries that the InterContinental Hotels Group is based in. 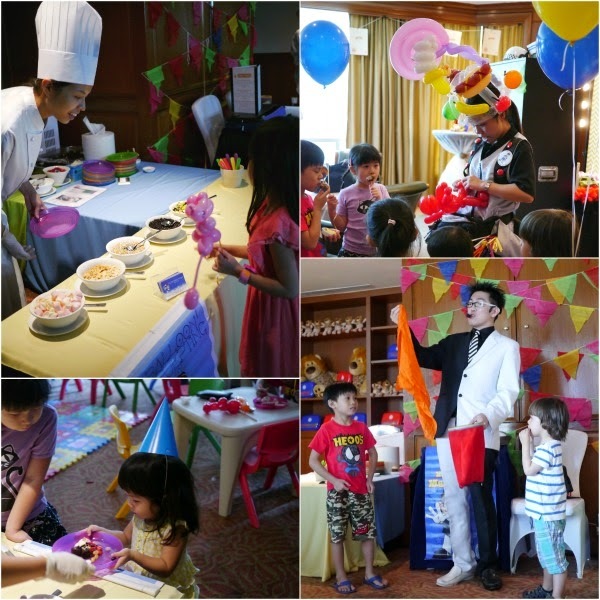 The hotel also treated young guests to a make-your-own Frogurt buffet, a magic show by the affable Mr Bottle, and had balloons sculpted for them by N2 The Balloon Ranger. Mr Bottle in particular was a hit with the kids. 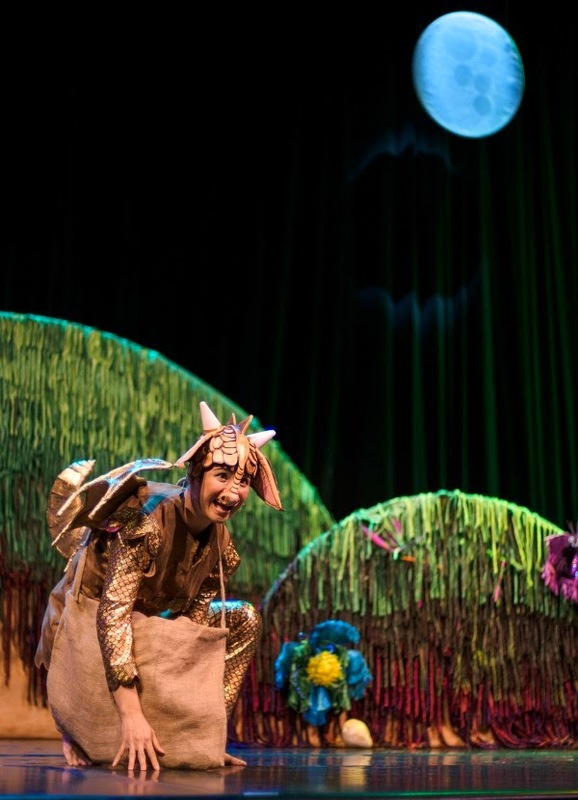 I have never seen Bun laugh so hard at a performance! She was throwing her head back and laughing out loud at his antics! She even went up when he asked for volunteers, solemnly nodding to both his questions (Are you 2 years' old? Are you married?) before realizing that she was facing a crowd and away from me! Thank you InterContinental Singapore for a fun dinner party. We look forward to ordering from the Planet Trekkers Menu the next time we are at one of the InterContinental properties!